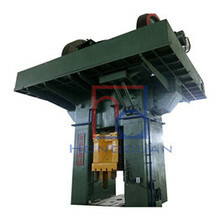 Qingdao Hongda Forging Machinery Co., Ltd is one of the leading China ep series electric screw press manufacturers and suppliers, and also a professional ep series electric screw press factory and company, welcome to buy our products and check j53 double disk friction screw press, cnc electric screw press price with us. 1．Simple struture , short transmissoin chain belt, less frequent maintence, Easy operation. 2. BLDC motor, instant start and instant stop. 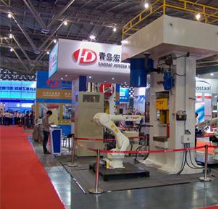 The motor rotate when the press is forging the workpiece,and will stop rotating instantly after forging.It's high efficiency. 3.low noise of main motor. 4. left and right working window, convient to transfer the workpieces. 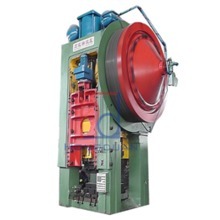 7. pre-set blowing force precisely, adjust energy and blowing force according the requiments of workpieces, prolong the working life of the molds. 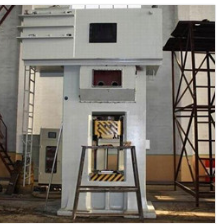 8. photoelectricity protection system to protect the machine. 1, place the gold ball. 2, bold cast the diameter or reduce the length of the cast. 3, increase the amount of metal. 1, in the mold around the protective plate (cover); mold safety protection device should not increase the labor intensity. 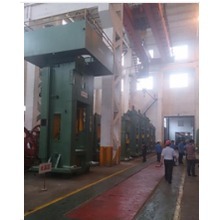 3, set up mechanical feeding and discharging device, instead of manual feeding and discharging mode, the operator's hands are isolated outside the die danger zone, and the operation protection is implemented. 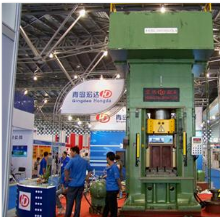 Qingdao Hongda forging machinery practice has proved that the use of composite mold, multi-position continuous mold instead of single-step dangerous mold, or set up the machinery in the mold on the discharge mechanism to achieve mechanization, automation, etc., can achieve improved product quality and production efficiency, Reduce labor intensity, facilitate operation, and ensure safety. 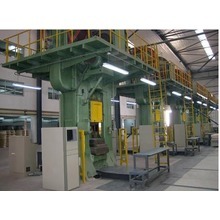 This is the development direction of stamping technology and the fundamental way to achieve stamping safety protection. Double disk friction screw press.